Sammye Johnson and Prija Prijatel, both American professors of Journalism, once wrote that the magazine cover is “the most important editorial and design page in the magazine. The cover, as the magazine’s face, creates that all important first impression. Editors, art directors, publishers and circulation directors spend hours trying to select the perfect cover for each issue.” (Johnson and Prijatel,1999, p.240) As the quote suggests, a lot of thought goes into what is on a cover, even if the suggestions go unnoticed by the reader or a person passing a magazine stand. It could be argued that the magazine cover intends to offer an aspirational vision of the reader in terms of their lifestyle aspirations, but from another perspective however the cover could instead reflect the brand identity of a magazine. But there are many ideas to be considered when analysing a magazine cover. 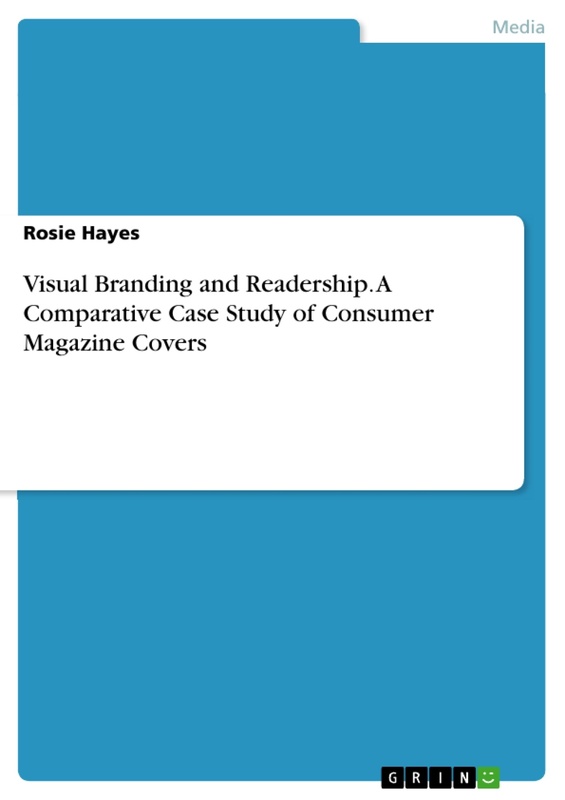 This dissertation will look in depth at the visual elements on the covers of three consumer magazines from the same month, to review each magazine’s effectiveness at aligning their cover with their own target readership. There is a strong need for an analysis of visual branding. When researching for this dissertation I discovered no professional insights on this topic, and there also appears to be no current academic knowledge generally on the topic either. Considering the importance of visual communication in the modern age, I thought this matter should be urgently addressed. Journalism research should not only consider news issues for analysis, but also the necessary marketing and visual aspects which enable magazines to have mass readerships. Magazine covers should be important objects for analysis, due to a dearth of journalism studies research into visual branding, as opposed to textual meaning making. This is important because of the need for the industry to remain commercially sustainable, but also to deepen understanding of how visual texts create meaning. I have encountered difficulty researching for this analysis but this has not deterred me, as this will add some unique new research to the field of journalism. 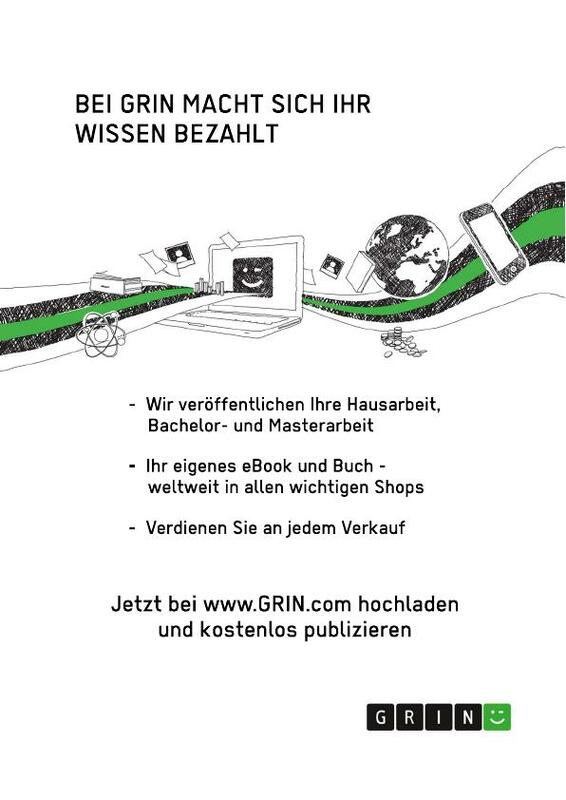 This thesis will use contemporary magazine covers as examples to illustrate how they appeal visually to their readers, by expressing meaning through the visual, and to what extent this fits with the information provided in their media packs. The meaning of each visual element may be interpreted in more than one way, for example it would be ignorant to assume that different cultures do not assign different meanings to what they see. Berger has said that there have been attempts to explain “either metaphorically or literally, “you see things”, and an attempt to discover how “he sees things”.” (Berger, 2008, p.9) Therefore several meanings may be considered in the chapters to follow, for example when looking at the meaning of colour. Brides in some cultures wear red, whereas some in European cultures wear white. These differences mean a visual element may have more than one potential meaning. But this research will attempt to pin down some of these potential visual meanings, to see how much of each cover can be said to align with its magazines readership. The covers used as examples throughout will be Vogue, Elle, and Harpers Bazaar. These covers will be analysed using principles of semiotics and branding to discuss the important visual elements in each chapter. Each visual element including typography, photography, and colour, will each be covered, as each play a part in conveying meaning. I will do this by asking how each element represents meaning, and looking into each chapters broad subject to gather this information. Although each visual element here has been written about individually, there is little, if no study of meaning making through the visual on magazine cover, and how this applies to readership. This research aims to show how these vital visual elements work to represent ideas, according to the chosen theories. Much more could be written on each element, but I will narrow the focus to make this dissertation a starting point and collective resource of the visual elements to show just how important visual communication is. The magazine covers I will be using are from April 2011, and if we look at the UK statistics about these magazines from the first six months of 2011 we can see the scale of the magazine phenomenon. Figures from the Press Gazette show that all of the magazines I have chosen had increased circulation, with Vogue ’s standing at 210’766, Elle ’s at 197’136, and Harpers Bazaar at 118’740. From the year before this is an increase for Vogue by 0.1%, Elle up by 0.8% and Harpers Bazaar by 0.2%. All these figures remain high, even though these magazines also have websites.This shows that the magazine sector is still performing well despite the economic downturn, showing them to be hightly adept at marketing and branding. This is a success that has not been mirrored by other print media. None of these magazines have undergone rebranding during this time and have remained consistent with their media pack information. I will discuss what these include in the following chapters, and how this relates to the visual elements. When determining which magazine covers to analyse, I decided to choose consumer magazines. Consumer magazines are “created primarily for popular consumption. They are sold on the news stand or by subscriptions and are marketed like any other consumer product. They usually contain advertising; readers are important to advertisers because of their potential as consumers.” (Johnson and Prijatel, 1999, p.14) It can also be said that “consumer magazines generally have the largest audiences of all types” (Ibid, p. 14) So with their strong links to advertising and wide readership, it made sense to me to choose this type of magazine when considering visual branding and readership. My choices of magazines were chosen to be fairly similar in that they are all aimed at mostly female readers, and that there may be some overlap in each of their reader pack statistics even though they vary. Although the importance of visual branding has been addressed very briefly in the fields of journalism and branding, this will go further than a brief statement of recognition, and inspire a new understanding of the topic. As journalism studies has not yet embraced visual analysis, in order to understand the reasoning for this dissertation and the development of my idea, it is necessary to start by looking at the general importance of visual communication in all media. Swedish art director Bo Bergstrom claims “If instead, a combination of linguistic and figurative expression was to be prioritized, we would build a bridge between words and pictures, between sense and emotion, making us more rounded individuals.” (Bergstrom, 2008, p.11) I agree with this argument, and it should be questioned as to why there appears to be such little understanding of the power of the visual. It can be said that the lack of research could be because journalism studies has only tended to focus on textual meanings to date. However the rationale for this thesis is not only to highlight the importance of visual communication, but to uncover a deeper understanding of meaningmaking by considering the magazine cover as a journalistic text. Then to establish some kind of link to magazine readership. Bergstrom’s chapter “Scared of Seeing” seems to me to be a turning point in the wider appreciation of the power of visual communication. Though finding any study similar to mine was near impossible, this chapter was useful because it addresses the need for knowledge and understanding of media messages. The lack of research on this topic could be because we are brought up “where logical thought and verbal, linguistic expression are prioritized. Children learn to understand and to interpret verbal means of expression together with adults, but they are never taught to depict the same things using colour and shape.” (Ibid, p.11) This shows a very important criticism of education universally, and this chapter offers a good explanation as to why visual communication is so important. Controversially Bergstrom states at one point that people are afraid of pictures. I do not agree with this statement, instead of being afraid of pictures there may be simply a lack of understanding about them. Afraid is a strong word with connotations of fear. It should instead be considered, as the statement above suggests, that people are unfamiliar and lack knowledge about the visual messages that bombard them every day. Even the chapter’s title “Scared of Seeing” is an overstatement, as interest is growing in this topic. Bergstrom also says analysis of the visual becomes a “self-portrait” of the writer. I would also disagree with this. Although it might be true in some cases, such as Barthes Camera Lucida, 2000, wherein he appears overwhelmed by the concepts of time and death when looking at photographs of his mother, this is not the case most of the time. Bergstrom concludes: “the messages will reach their audience more easily. News and commercial messages are understood, assessed, and subjected to detailed consideration, which is necessary in a democracy.” (Ibid, p.11) It could be said therefore, that an understanding of visual communication could inspire consumers to become more engaged in what they are seeing, and this understanding can offer a potential for critical analysis. A more visually knowledgeable society could also begin to create difficulty for manipulative advertisers. This also applies to magazine covers, with their close links to advertising. Journalism has previously shied away from this subject despite magazines’ mass audiences, so I decided to focus in the covers and give the visual content the necessary consideration it needs. The visual has been generally overlooked in media analysis yet has become a vital form of marketing and branding. The consumer perception of any brand is influenced by its visual presentation. An effective visual brand identity, and sometimes personality can be achieved by using visual elements to create distinction. The magazine cover therefore can be considered an external form of branding, the internal being the company’s description and the workforces familiarity with that. These internal and external elements together create a brand strategy. In the case of magazine covers it can be argued that the front cover is the most important design page to express this brand identity, which is described in each magazines media pack. Firstly, it addresses the general importance of visual culture, and secondly the possibility of influence through the visual. It is a useful nod to the visual elements that establish a successful brand. They suggest that a brand identity might comprise “logotypes, symbols, colours, typefaces” when conveying their visual identity. (Ibid, p.114.) This is interesting, as their approach entirely coheres with mine. If the magazine itself can be considered as a brand to its audience, I thought it would be important to include a photography chapter also. However later on in this chapter a longer list of possible visual representation for a brand such as logos and symbols, illustration, photography and pattern are mentioned. There is a short history of how visual branding has changed since the 1950s, set out in decades. This shows how branding and marketing departments have competed over the years, and how diverse visual branding has now become. They mention an interesting idea of unsuccessful branding and a “meaningless feeling among the workforce” (Clifton and Simmons, 2003, p.122). If a successful brand has an obvious meaning to people, then so should a magazine cover through its individual visual elements. My research will aim to discover this meaning and how it relates to readership. I found this chapter fairly useful, however found the closing ideas about the future of branding quite presumptuous, without much conclusive proof. For example it states “the growth of luxury brands will influence how non-luxury brands portray themselves. This will result in an upgrading of presentation.” (Ibid, p.124.) It could be argued that in terms of magazines cheaper magazines have retained their brand identities and may have changed, but not tried to upgrade their presentation. The enormous variety of direction that can be taken in terms of visual branding means that their closing list of the chapter included too much guesswork. Visual branding could possibly go in any direction at any time. It is important for visual branding analysis to be incorporated into journalism studies, so that we can consider journalism artefacts as products, not just as texts. The last most important theory that I will be applying throughout this dissertation is Semiotics. As Sebeok states in the section “The Object of Semiotics” in his book Signs: An introduction to Semiotics, 2001, this theory “arose from the scientific study of the physiological symptoms induced by particular diseases or physical states” (Sebeok, 2001, p.4) by Hippocrates, the founder of Western medical science. Its purpose as it has changed and evolved has been to “understand the interconnection between representation and knowledge.” (Ibid, p.5)The ideas of Swiss linguist Ferdinand de Saussure and American philosopher Charles S. Peirce then became the basis for “an autonomous field of inquiry which sought to understand both the production and interpretation of signs.” (Sebeok, 2001, p.5) The development of this theory from a scientific perspective, to a philosophical, linguistic and visual one has meant there have been varied contributions to the understanding of signs. This is important, because the differences in the theory’s progression have meant its application can have a varied use. It has changed what can be considered a sign. The most important contributions to semiotics in terms of my own research has been the work of Saussure and Barthes. Saussure’s work although concentrating on language has an explanation of signification that can be useful for applying to imagery and typography. Barthes work is more complex than Saussure’s, but had more of a focus on the visual, so this may be useful even though there are no similarities in the actual objects of study. Barthes application of semiotics in terms of visual communication has proven that it is feasible, and that this wide ranging theory can be used for more specific further analysis of visual representation in modern culture. This section describes semiotics as a “science with its own corpus of findings and its theories, and a technique for studying anything that produces signs” (Sebeok, 2001, p.5) .As the theory of branding is so important, as is visual communication, it is proof that we live in a visual age. If semiotics can be used for anything producing signs as this quote suggests, then it can contribute to the understanding of visual signs some of which bombard us every day. There is no comprehensive study available about understanding the covers of magazines, thus semiotics can aid the discovery of this new knowledge. Sebeok writes “This would explain why the forms of expression that humans create and to which they respond instinctively the world over are so meaningful.” (Sebeok, 2001, p.5) This is relevant to what I am doing, because if I can apply this theory and uncover some of the meaning through the artistic expression on the magazine cover, we can see if this is meaningful to understanding the brand and understanding the readership. I found this section an interesting history of semiotics, and although brief, is comprehensive enough to name the key theorists who have contributed to this study. Semiotics itself is a useful methodology to understand connotation, but it does not take context into account. 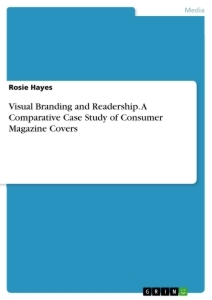 A critical discourse analysis such as this dissertation will be a new approach to the visual, which can enable scholars to make connections between textual and visual analysis in a way that links to context, the context in this case being the brands and their readers. Photography critic Vicki Goldberg has written that “the photograph is a highly efficient means of cultural communication; it has the advantage of credibility, easy mass distribution, and instant convertability into a symbol. Since visual imagery is more readily abstracted than sensations of touch, smell, sound or taste, the mind is accustomed to using images as ideas.” (Goldberg, 1991, p.135) If the image can be considered a sign, then what does it symbolise, and how does this relate to a magazine’s readership? If we consider the available media packs of Vogue magazine, its average reader age in Britain is 34 and in the US 37, and 89% of readers in both cases are female, with a strong interest in premium fashion and beauty. Although French media pack information was unavailable, we can try and take this general information to understand the information about readership. For example, the cover of Paris Vogue’s April 2011 issue has supermodel Gisele Bundchen striking a powerful pose against a countryside outdoors background. Her dress is in white lace, and the cover text is also white. The background looks as if it could have been taken in the south of France, and the clothing is also a recognisably French style, perhaps by a French designer, suggesting the image is “subject to cultural definition.” (Burgin,1982, p.84) The classic white lace dress being used in a 2011 editorial photograph suggests “the contradictory nature of the fashion image’s transitoriness, by their aim to be both timely and timeless.” (Wells,1997, p.169) The modern cut of the models dress might be considered timely, whereas the style and fabric itself is nothing new in a fashion image. The choice of model being Brazilian, and the background in the countryside are other factors that enable the fashion image to be timeless but yet timely. If we consider this cover in relation to the brand, if compared with eight Vogue international covers in the same month there are hardly any similarities. This cover stood out to me because of its country setting, however it seems that most of the international editions of the same magazine had attempted to make their cover art culturally significant. Another example of this would be US Vogue ’s cover in the same month, which features popstar Rihanna on its cover emerging from the sea in a mermaid-like dress, with her bright red hair starkly standing out. I believe this is an obvious reference to a Disney character, Disney itself being a huge American institution. Although Disney is recognisable worldwide, this cover image is another example of implying cultural relevance. All of the covers I looked at from this magazine were very different in terms of their cover image. The artistic teams are clearly given a vast amount of creative control. It seems as if the cover images are not sticking to a universal brand identity, but instead are only restricted by the title typography. This is the only trans-national brand identification from the covers of these magazines, so there is not much emphasis on the brand through the photography. This could be because the brand is so successful it is instantly recognisable from its logo alone. In advertising images, a concept named brand association is used to attempt to trigger keywords in the minds of consumers when they think of a brand. It could be argued that there are too many varied cover images to maintain effective brand association globally from the visual aspects. However despite this huge artistic variation in terms of presentation, key values and principles are still presented consistently. For Barthes, his semiotic theory of ideology or myth, is “the deployment of signifiers for the purpose of expressing and surreptitiously justifying the dominant values of a given historical period.”  (Silverman, 1985, p.27) In terms of the Vogue editorial photography cover, it can therefore be said that instead of expressing a historical period, the photograph is expressing the values of the brand, in relation to specific cultural significance. In US Vogue ’s media pack, it describes itself as the eye of the culture, and a cultural barometer. This is clearly an important consideration for their choice of cover artwork, internationally. Other values being an emphasis on luxury fashion, beauty and jewellery, aimed at a female audience. Burgin has mentioned about “art photography vs documentary photography” (Burgin, 1982, p.108). If this is the case then it can be said that editorial photography is expressive rather than being reportage like photojournalism. So is a cover photograph allowing its viewers to “encounter that other reality”? (Uelsmann, 2002, p.200) I believe so, as the image projects the luxury lifestyle that the readership of this magazine aspire to have. The available Vogue media pack’s state that their readers continue to buy designer brands despite the economic climate. There seems to be more of an emphasis of each culture in terms of the international editions of Vogue. The theory of semiotics and idea of symbolism have more merit in terms of the image itself, in terms of the cover creating an aspirational view of the reader, than expressing a global brand. The images are culturally focused. But it must be considered that the lack of similar cover art could suggest that the brand is simply powerful enough to allow this level of artistic freedom. It might be said that expressing a global brand means to make it relevant and accessible, everywhere the magazine is distributed. The cover photography of Vogue is photographically cultural, aligning with its brand emphasis of culture. But if we compare this to Elle magazine’s covers in the same month, this is not the case. Elle has a younger and slightly more playful approach to their cover art. UK Elle ’s media pack has a repetitive emphasis on style, and mixing designer with high street. 92% of their readers are women, and the majority are aged between 15-24. If we look at UK Elle ’s cover from April 2011 it shows singer Gwen Stefani against a bright green background. Aside from the English language text, there is nothing about the photo alone that expresses culture. This could easily be mistaken for an American cover. If the cover photo is “symbolic” (Wells, 1997, p.158) then the signified here can be considered style, and this does align with the media packs brand description. However it must be said that their use of cover stars internationally within this month such as Penelope Cruz and Hilary Rhoda are older than the majority of Elle ’s readership. This suggests they want to inspire their readers to be like this in a few years time, by providing examples of who the brand deems stylish. On the UK cover Gwen Stefani’s leaning and relaxed pose is teamed with a direct stare into the camera.  Her hair is swept to one side and her clothing is neutral. Perhaps the inclusion of a bright green backdrop is to inject some youth into an otherwise sophisticated image. In the case of Elle it can be said that the photography is compliant with the style emphasis of the brand, and aimed at females, but not a true reflection of the age of its readers. Its covers are a mixture of high fashion imagery with elements of youthfulness such as bright colours and high street fashion that distinguish it from the likes of Vogue. I believe this is intended for their covers to correspond with reader aspirations and current fashion trends, so conveys their target readership rather than their actual readership. Possibly the most accurate brand description in a media pack, in relation to actual readership through a cover photograph, is Harper’s Bazaar. Their US media pack states 89% of their readers are women, with an average age of 45. Its emphasis lies in fashion, but the media pack states “delivering affluent, educated, professional women.” Its focus is on serving a fairly wealthy readership, but the wording here could suggest a source of inspiration that by reading this magazine you can be all of these things. Their US cover contains a close up image of actress Courtney Cox smiling and looking very youthful. She would be around the same age as their readers, so to enforce that you can be successful, affluent and appear fashionable and youthful. Barthes has commented “a photograph, not a drawing or engraving” (Barthes, 2000, p.80) as if a photograph counts as certainty, proof that something exists. So the magazine cover can be considered an attempt at a statement of fact. Their actual readership can aspire to this, but their actual figures are mostly aligned with their image choice. For them to claim they deliver affluence is not valid, it would be fairer to say their cover images adequately reflect and provide inspiration to an already moderately affluent, educated and professional readership, with their April 2011 cover stars internationally appropriate for their readers age group. Bo Bergstrom has defined typography thus: “typography is about the shapes of letters, their use, and the settings in which they appear.”  (Bergstrom, 2008, p.98.) In this case the magazine cover can be considered the setting, as the typography title is one part of a whole constructed design page. But we might also consider to what extent the typefaces are reliant on the rest of the cover to express meaning. Theo Van Leeuwen, a leading academic in the field of visual discourse analysis, has mentioned the fact that linguists and semioticians have had a “delay in their recognition of the communicative role of typography.” (Van Leeuwen, 2005, p.138). However it is becoming more recognised as a developed medium of expression. In recent years typographic communication has evolved from more than just a single semiotic mode, when considering the meaning of the form of letters. Modern typography can create meaning through colour, texture, and three dimensionality, so becoming multi-modal typographic communication, blurring the boundaries between letterform and imagery. However in recent years there has been a consistency in the titles of consumer magazines, compared to “elaborate and ornate mastheads sought to catch the consumers attention” such as the magazine titles of the 1800’s. (From the periodical archives, 2004, p.265.) They seem to be becoming increasingly similar in their choice of title types. In semiotics, Barthes theory considered connotation, which he has described as “a correlation imminent in the text, in the texts, or one may say that it is an association made by the text.” (Barthes, 1996, p.8) In this case it is visual analysis so not a text. The meaning of a sign is established through social convention, culture, knowledge and experience of the audience. I believe that connotation can be considered a second order in a chain of possible meanings, but only with certain visual aspects. With typography I would argue this is not the case, however this is a very useful view that I will consider later on, with the visual communication of colour on the cover of a magazine. A more useful application of theory for this chapter would be Saussure’s theory of structuralism. Saussure chose to ignore the material reality of the linguistic sign, instead suggesting written language exists solely to represent speech. However I would argue that the material form of the sign can express connotations of its own. The visual properties can communicate pictorally rather than verbally. I therefore will look at the title typography of these three magazines as a visual element in itself, without consideration of the linguistic signified, such as the word itself in speech. All of the three magazines in this study’s title typography can be broadly categorised in the same way. Bergstrom categorises this type family as “vertical romans” and describes these; “These formal and coolly elegant typefaces were developed in the nineteenth century. They feature a very strong contrast between thick strokes and hair lines, as the type designers took their inspiration from the growth and opportunities offered by copperplate engraving. These gave the letters more delicate lines, thin horizontal serifs, and an upright stress.” (Bergstrom, 2008, p.102). If the general opinion of these letter shapes is considered formal and elegant, then this can be said to be the signified notions. But to what extent does this align with what we have discovered about these brands and their readers? Considering Elle magazine has the youngest actual readership of the three, it might be argued that a typeface such as this is too sophisticated to effectively reflect their readership. It might be the case that the designers at Elle feel in competition with the likes of Vogue and Harpers Bazaar, and want to creatively distinguish themselves as part of the general fashion magazine category. With Vogue ’s UK figures at the highest of all three, it would be unsurprising that one magazine may have taken inspiration from another. However this also adds to the argument that, like its editorial photography, Elle ’s typeface may intentionally be elegant to visually represent their ideal readership, which is slightly older than reality . Elle may be out to prove also that the brand is just as sophisticated as other magazines on sale. The heading font of Elle differs to the other two magazines, in the sense that the letters are longer and thinner, emphasising the horizontal. It might be said that the long ascenders and descenders reflect the brands aim of being a mixture of high street and high end fashion inspiration, literally showing through the letter shapes that they are aspiring to higher things. It appears that magazines are facing a dual challenge to retain their brand identity, whilst trying to appeal to existing audiences and bring in more readers. If we are to compare this with the title typography of Vogue, although similar to Elle in all caps, the letters are considerably shorter and rounder. Van Leeuwen has said that “”roundness” readily lends itself as a metaphor for “organicness”, “natural-ness”, “femininity” and other related concepts.”  (Van Leeuwen, 2005, p.140). If we use the example of the Sausseurian signified here, described by Silverman as a meaningful form and “concept which that form evokes” (Silverman,1983, p.6), then a notion of femininity would align with their brand description and readership. The vertical roman type containing slim bars and almost hairline serifs fits with Vogue ’s readership. If this is considered formal and elegant, then this is a good choice for appealing to their readership, who are mostly females in their mid-30’s. It could be said that this association between round shapes and femininity is old fashioned and cliché, but it is still an interesting observation to be considered. Johnson, S. and Prijatel, P. (1999) The magazine from cover to cover. Illinois. NTC. P240. Berger, J. (2008) Ways of seeing. London. Penguin Classics. P9. Johnson, S. and Prijatel, P. (1999) The magazine from cover to cover. Illinois. NTC. P14. Bergstrom, B. (2008) Essentials of visual communication. London. Laurence King. P11. Clifton, R. and Simmons, J. (2003) Brands and Branding. Profile books Limited. P113-127. Clifton, R. and Simmons, J. (2003) Brands and Branding. Profile books Limited. P122. Sebeok, T. (2001) Signs: An introduction to Semiotics. University of Toronto Press.P13. Sebeok, T. (2001) Signs: An introduction to Semiotics. University of Toronto Press. P5. Goldberg, V. (1991) The power of photography: How photographs changed our lives. U.S. Abbeville Press Inc. P135. Burgin, V. (1982) Thinking photography. Palgrave Macmillan. P84. Wells, L. (1997) Photography: A critical introduction. Routledge. P169. Burgin, V. (1982) Thinking photography. Palgrave Macmillan. P53. Silverman. K. (1985) The subject of Semiotics. USA. OUP. P28. Silverman. K. (1985) The subject of semiotics. USA. OUP. P27. Burgin. V. (1982) Thinking photography. Palgrave Macmillan. P108. Uelsmann. J. (2002) On Photography. Penguin classics. P200. Wells, L. (1997) Photography: A critical introduction. Routledge. P158. A target readership might be considered the type of person targeted for sales of a particular magazine. For example who in society the brand is aimed at. Actual readership is what it suggests, and this information can usually be found in statistics and demographics of sales, sometimes as part of a media pack. Barthes, R. (2000) Camera Lucida. Vintage Classics. P80. Bergstrom, B. (2008) Essentials of visual communication. London. Laurence King. P98. Van Leeuwen, T. (2005) Typographic meaning. Sage. P138. De Saussure, F. (1983) Course in general linguistics. London. Duckworth. P67. Noth, W. (1990) Handbook of semiotics. Indiana university press. P298. Crow, D. (2010) Visible signs 2nd edn. AVA publishing SA. P14. Bergstrom, B. (2008) Essential of visual communication. London. Laurence King. P102. Van Leeuwen, T. (2005) Typographic meaning. Sage. P140. Silverman, K. (1983) The subject of semiotics. Oxford university press. P6.